Canon U.S.A., Inc. provides digital imaging solutions for the healthcare sector, including digital detectors, digital radiography / fluoroscopy solutions, mobile & portable solutions, acquisition carts, and software solutions. Canon Medical Systems Corporation, along with Kumamoto University and the University of Bordeaux, has initiated collaborative research on the application of Deep Learning Reconstruction (DLR), an Artificial Intelligence (AI)-based technology in magnetic resonance (MR) imaging. The official corporate name of Toshiba Medical Systems Corporation has been changed to Canon Medical Systems Corporation. The name change follows the completion of procedures for obtaining regulatory approval for integration with the Canon Group after the company officially became a subsidiary of Canon Inc. in December 2016. Similarly, Toshiba America Medical Systems, now a Canon group company, has been officially named as Canon Medical Systems USA, Inc.
Japanese electronics manufacturer Canon Inc. has completed its acquisition of Toshiba Medical Systems Corp., a medical unit of Toshiba Corp. that provides medical imaging products and solutions. Canon has received the necessary clearance from competition regulatory authorities to make Toshiba Medical its subsidiary in a USD 54.7 billion deal. 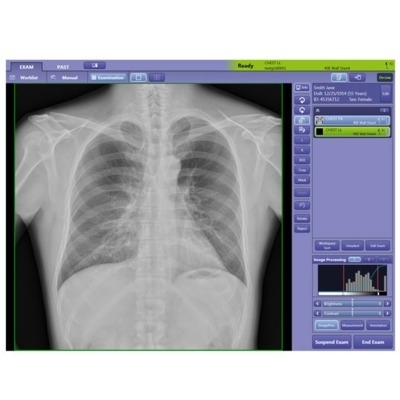 The CXDI Control Software NE is made exclusively for use with Canon digital radiography systems and helps to optimize workflow and reduce the steps needed to complete exams. It provides quick image confirmation and timely network distribution, supports multiple study acquisition, and can be easily tailored to individual clinical preferences.